Pocket God™ Journey To Uranus is an interactive universe where you can discover your godly powers, explore, and play games. Feed the volcano god on Earth! 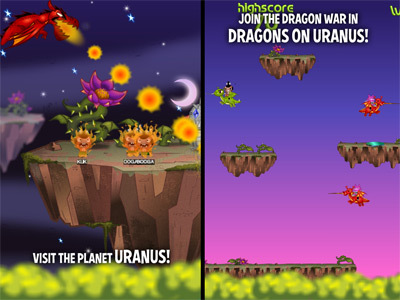 Fight a war on Uranus! Ward off robots from another universe! 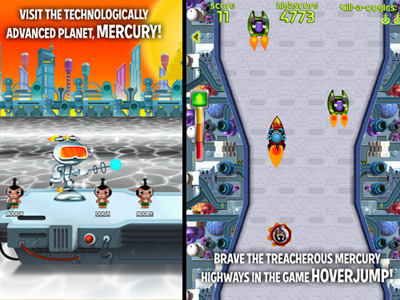 Navigate the high-tech highways of Mercury! And more! In addition, some games are inspired by your favorite classic video games. 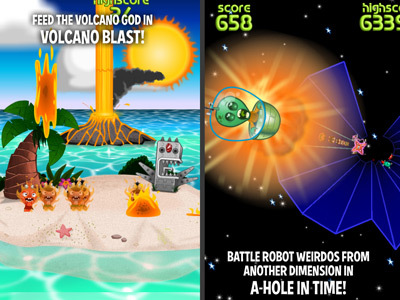 Like Pocket God, the Journey to Uranus universe will keep expanding. More planets, interactions and games to come! What would YOU like to see added? A strange artifact creates a portal that transports Pygmies to a dimension infested with the walking dead that the Pygmy must destroy… or else! 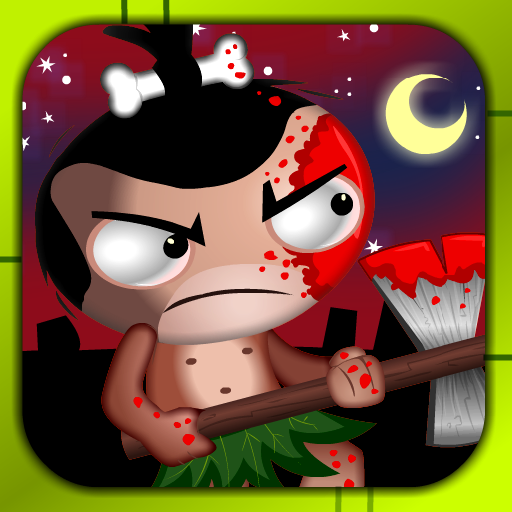 Enter the portal on Graveyard Island to be taken to the mysterious Horror Dimension, and become a Pygmy with a never-ending supply of axes. 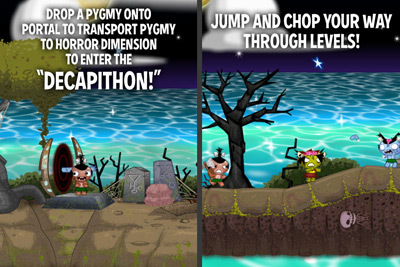 Decapitate the zombies that cross your path before they get you! To make your hero move back and forth, just tilt the screen. Tap the arrows in the lower corners in order to jump, and to throw your axes, you tap anywhere else on the screen! Besides the familiar blue Zombie Pygmies who use their own flying boomerang arms as weapons, you have many other horrors to confront: the (rude and quite gross) acid-spitting Moon Witch, the Zombie Pygmy-headed Vampire Bat with his eerie sonar attacks, and the boss himself, Big Booga, who spits rotten teeth and has a special talent of causing fiery skulls and bones to rain down upon you. There are gates that will prevent you from going further until you’ve eliminated all the zombies in your midst, so your aim had better be good! Regeneration graves are dotted across the landscape to give you a health boost if you need it, and if a ghost should cross your path and you absorb its energy, you’ll gain a longer life.